Four years after Soudal took a majority share in her exclusive Australian distributor Soudis, the company has now acquired the full ownership of her local partner. 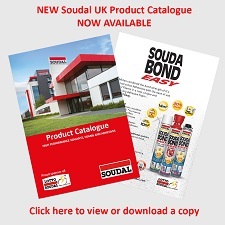 Soudal UK on TALK SPORT! Click here to view our new online annual report. Here we discuss the main global developments, as well as events and figures for 2017. Half way through the Tour of Britain and the Lotto-Soudal cycling team have been pushing hard. Andre Greipel has had wins at stage 1 and 4, which is a great result for Lotto-Soudal. Vic Swerts has been nominated as "Manager of the Year"
Biggest acquisition ever for Soudal Soudal is proud to announce the acquisition of TKK Srpenica, the largest independent manufacturer of PU Foams, Sealants and concrete additives in South Eastern Europe. Genius Gun: the easiest PU foam to handle! Soudal opens its 11th production unit in India! Soudal continues to grow and has just opened a new production unit; its eleventh already! On June 10th, Soudal was present in Monaco for the election of Ernst & Young World Entrepreneur of the Year. Among the the competitiors, we could find Rovio Entertainment from Finland (known from Angry Birds) and LinkedIn (US).